On January 12, it headlined « Farewell to Aaron Swartz, an extraordinary hacker and activist. » It called him « a close friend and collaborator. » Tragedy ended his life. He founded Demand Progress. It « works to win progressive policy changes for ordinary people through organizing and grassroots lobbying, » he said. It prioritizes « civil liberties, civil rights, and government reform. » It ran online campaigns for justice. It advocated in the public interest. It challenged policies harming it. He launched Creative Commons. He co-founded Reddit. He and others made it successful. His Raw Thought blog discussed « politics and parody. » He had much to say worth hearing. He was charged with « unauthorized (computer) access » under the Computer and Abuse Act. He did the equivalent of checking out too many library books at the same time. « Aaron, we will sorely miss your friendship, and your help in building a better world. » Many others feel the same way. Did Aaron take his own life or was he killed? Moti Nissani is Wayne State University Department of Biology Professor Emeritus. 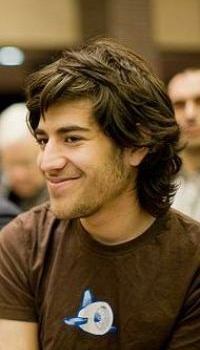 « Who Killed Aaron Swartz, » he asked? « How long shall they kill our prophets while we stand aside and look? » He listed reasons why Obama administration scoundrels wanted him dead. Despite extreme pressure, he pressed on. He defied prosecutorial authority. In October 2009, he posted his FBI file online. Doing do « probably signed his own lynch warrant, » said Nissani. Aaron had just cause to celebrate. « Are we to believe » he hanged himself instead? « He was young and admired by many. » Did « invisible government » elements kill him? « They did so either indirectly through constant harassment…. « All this raises a dilemma for those of us possessing both conscience and a functioning brain. » How much longer will we stand by and do nothing? Freedom is too precious to lose.